Thinking about New Year's Resolutions yet? Most of us would love to get healthier, right? We all know we should eat better, but it's easier said than done. SWEETS are my biggest temptation. I love to make and eat them. What about you? One of the best health decisions I've made is to start my day off with a nutritious Nutribullet smoothie. I've been drinking a smoothie almost every single morning for the past 1 1/2 years or so. It's made a huge difference in my health. When I started drinking smoothies, I didn't know about ALL-IN SMOOTHIE™. I found out about it through a sweet, young mom in my Bible study group. I was really curious when she mentioned that her dad launched his own business in 2016. 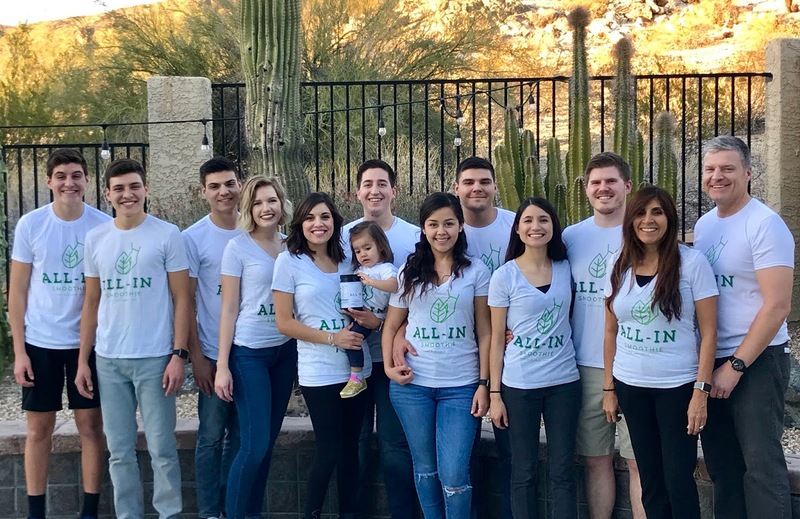 (I love hearing stories about entrepreneurs!) Anyway, over lunch one day, I got to hear all about her dad's search for the perfect whole food smoothie powder and how he eventually created his own. I loved listening to my friend share that she and her 5 siblings were often her dad's guinea pigs for all of his smoothie creations. You can read more about their story here. Since I already make delicious and nutritious smoothies every morning, I jumped at the chance to try ALL-IN SMOOTHIE™ for myself. And that's what I want to talk about in this post. 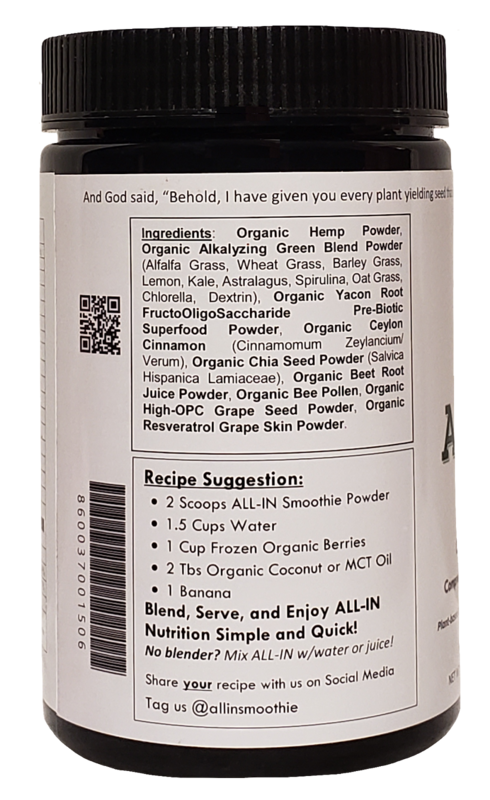 First, I want to show you what's in this whole superfood powder, and then I want to share with you how I used it and what I thought. *affiliate links are included at the end of this post. 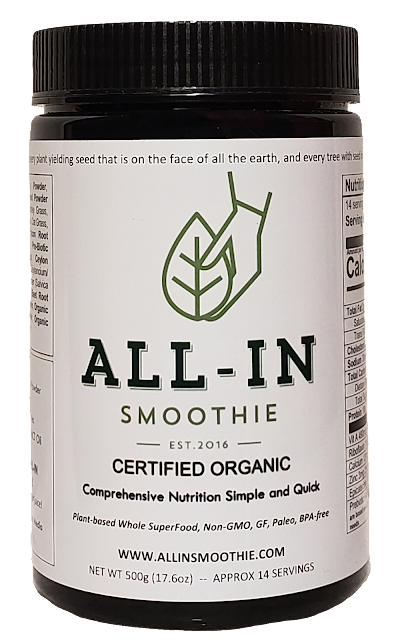 As you can see from the image above, ALL-IN SMOOTHIE™ is an organic, plant-based, superfood powder. 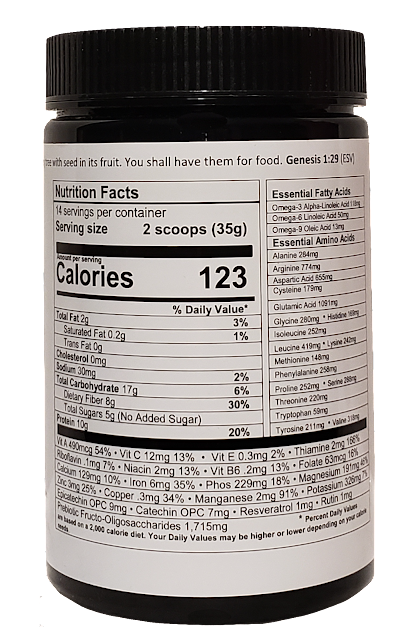 There are approximately 14 serving if you use 2 scoops of powder per serving. It contains lots of essential fatty acids, essential amino acids, vitamins, and minerals necessary for optimal health. Did you notice the 8 grams of fiber?! Now that's a great way to start the day!!! Ten grams of protein isn't bad either. No added sugar, too, which is a huge plus for me since I'm really trying to watch my sugar intake. Here, you can see the exact ingredients. I think it's interesting that the first ingredient is hemp powder. I actually have hemp powder in my fridge, since I sometimes add it to my smoothies for an extra health bonus. But THIS powder has SO much more! It smells nice, too. It has a sweet, earthy aroma, which makes me think of hemp and matcha powders mixed together. I've been adding 1/2 scoop of powder to the smoothies I already make with my Nutribullet every morning. Adding only 1/2 scoop to the smoothies I already make didn't change the taste much, if at all. It's a wonderful addition of healthy goodness! Here's a much shorter video of following the recipe on the container. I was expecting this recipe to taste quite a bit more earthy, but it tasted just fine. I liked it! This recipe will be great for when I run out of fresh, leafy greens and don't want to run to the store for more. 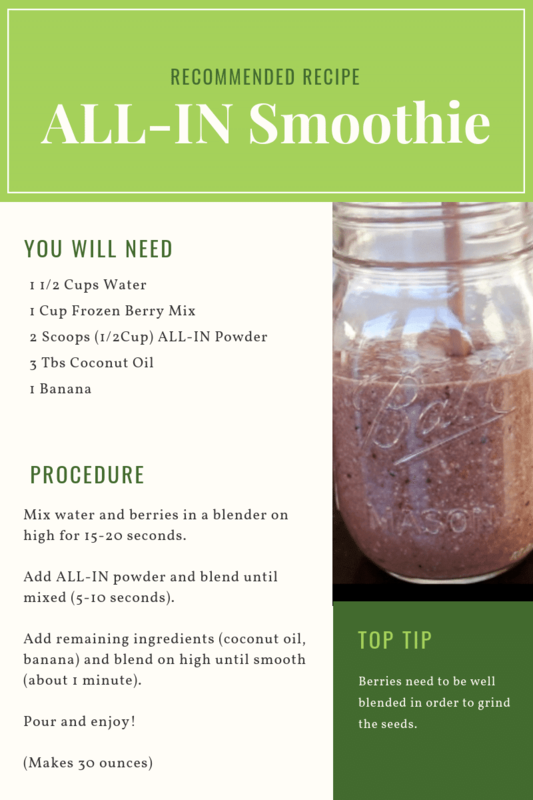 Overall, I really like ALL-IN SMOOTHIE powder and plan to keep on using it in my morning smoothies! So, if getting healthier in 2019 is one of your goals, let me recommend something super simple: start each day with an ALL-IN SMOOTHIE™! 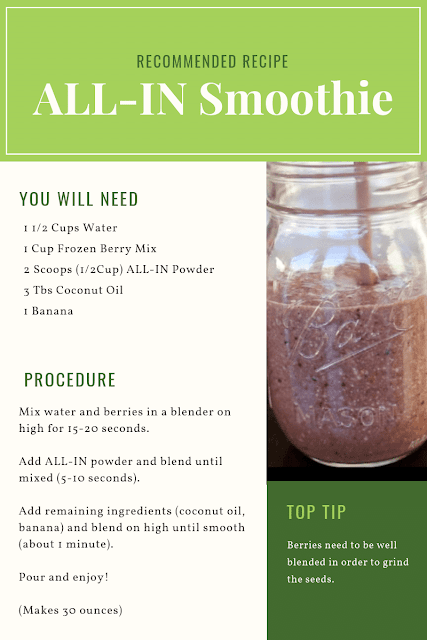 To help you get started, ALL-IN SMOOTHIE is offering 10% off to my readers until the new year. Just use promo code BRANDIRAAE to receive 10% off your order. *If you don't have some type of blending device, you can mix the ALL-IN powder with water or juice. OR you can order a nutribullet from Amazon for a great price! Disclosure: I received free product in exchange for a review. All opinions expressed in this post are my own.